Making Money Online Automatically and..."
The free information contained on this web page could improve your life drastically and permanently... but only if you let it. He knows all the fancy buzzwords... he told me just a few seconds ago he "jQuery'd an optin page" onto his WordPress blog. None Of His Sites Make Enough Money! He'll talk to me all day about marketing. He'll listen to any plans I lay out, but he'll forget to apply them. How can you avoid his mistakes? I've shown hundreds of others exactly what to do from day one, to go from nothing to making money in the fastest time possible. You're Making Everything Way Too Hard! Here's what happens when you try to fumble around on the Internet piecing the answers together -- here and there -- but it only takes one thing to hang you up and suddenly, you're stuck. And there's no one to turn to! You've tried getting free advice from forums... you've tried Googling for the latest articles and blog posts... you've tried 10 dollar ebooks (and wondering why they all contradict each other)... and where have those gotten you? 60 hours of frustration per week, and no results. Would you like to change that, yes or yes? "Now that you have an optin page, I forgot to tell you... you need a blog"
"Now that you have a blog, I forgot to tell you... you need a sales page"
"Now that you have a sales page, I forgot to tell you... you need a product"
Sound familiar? Nothing takes you from start to finish... in just one easy weekend, until now. I am blown away by this training. I've literally spent thousands of dollars on mentors and products over the last three years and none of them explained to me how to actually do this aside from advice like "make a landing page" with no suggestions on how to get that done. Your templates are fantastic and my business idea is finally being implemented. You guys rock! In This 3-Day Online Bootcamp"
Finally, you get everything all in one place: your entire online business. How to setup your web site (including hosting, your domain name, and autoresponder) ... your optimized blog (for traffic), your membership site (for content)... everything you need. You get everything you need: all simple and safe technical advice. "Cant' Believe What I Learned In One Weekend"
I think I'm going to toss the thousands of dollars in courses I've purchased over the last 8 years that I was never able to sit through let alone learn from. I can't believe that in one weekend I've learned how to do all the things you've taught. Thanks so much for busting my belief that those who make money online do it by charging tons of money for stuff no one could ever figure out. I don't remember how I found you guys, but I'm sure glad I did! Imagine, you sit down on Monday for a couple of hours, then again on Tuesday, and by Wednesday you're finished... you have EVERYTHING online! It's all made super easy to understand with step by step screen capture "look over my shoulder" online course. You'll see exactly what simple steps you need to take. You just repeat what you see on the screen. Simple. More than WONDERFUL! Sooooo needed this. Family is getting totally tired of me doing the victory dance through the house every time I overcome a hurdle. Seriously. This is the best program yet guys. It's catapulting me in my business(es) development sooo fast. Best money I ever spent. You've always dreamed of telling your friends about your web site. Dreamed of firing your boss and quitting your day job. Dreamed of working less, making more, and retiring early. The technical stuff is out of the way. You can now focus on your marketing and your passion. Here's what you'll do. Lance and I will build a real business in front of you (on your computer screen), NO TEST SITES ALLOWED HERE! It's all stored for you personally -- forever -- inside the member's area. Thank you so much for this course. I didn't make it in 3 days, but I made it during 5 days. Awesome! Your teachings and step by step methods are perfect for me. May God continue to bless you guys! Let's get you setup so you can make money! "Choosing Your Niche, Finding Your Hook, and Detecting the Money"
"Look at me, I make a million dollars per year online. Here are my fancy Lamborghinis and my beach front home." I have tons of websites about PHP programming. Presenting on webinars. How-to systems for speed-writing. WordPress plugins and web-based software. $1,000,000 from Scratch in 24 Hours! I can show YOU how to build an autopilot business that's unique to YOU. Make money from your passion. Enjoy what you do so it's not "work." And put the minimum amount of time in for the maximum profits OUT. Discover: What niches to AVOID! Amazing Courses That I Have Taken"
This is one of the most amazing courses that I have taken. It has taken the "pain" out of setting up all facets of my business. My challenge has always been, when I started to do one thing, I got "twisted" with that one thing, that always leads to another one thing, and then never completing one project. This has been awesome and I can follow the directions and if I get stuck the replays are there to guide me. I cannot say enough about you two guys taking the time, for short money, to teach this class. I do want the affiliate link so that I can send it to all the people I know that are having a hard time like I WAS - confused no more, thanks to you both!! So you've used our system and identified your passion, your niche, your target market, and you have an idea for a viable, profitable website. What next? By SKIPPING the Technical Details"
What's great about Lance and I is that not only have we setup hundreds of websites for ourselves, but we've coached hundreds of students how to do the same thing. We've made all the mistakes. They've made all the mistakes. And in that process we've made that process as simple as possible. You NEED a website. Even if you aren't making products yet, even if you don't have subscribers yet... it all starts with a website. You can safely ignore 90% of the capabilities most webhosts give you -- so that if you don't have a website of your own yet, we'll walk you through the process. And if you do have a website, we'll show you how to make the most of it. Cpanel, DNS, FTP, HTML, email -- forget them!!! But now what goes on it? I've got great news: you don't need to spend 6 months making a product out of the gate. You don't need to agonize over a WordPress theme, CMS software, or any of that goofiness. Here's the fastest way to make money online without doing any work or spending any time: attract a list of hungry email subscribers, and send content and offers to them. "Always Deliver and Never Disappoint!" As always Robert & Lance always deliver and never disappoint! Thank you so much for always finding creative and helpful ways to not only teach us but motivate, challenge and inspire us as well. That's it. No products, upsells, funnels, coaching, freelancing, or memberships yet. Just good old fashioned list building. "Assembling Your Optin Page and Bringing in a Steady Stream of Eager Prospects and Buyers"
You don't need a product to make sales online. It helps, but you don't "need" one! Lance got his start as an affiliate... which means, he'd find a web site to promote, recommend it to his subscribers, and collect a "finder's fee" or "affiliate commission" ... without doing anything other than pointing people to the right place. Many people are at a loss about what to put on their website. List of services? Boring corporate page? Blog? What you should add for starters: a place where people can get a free gift from you so you can start building a relationship. And also: I don't want you to even think about "building an optin page" ever again... instead, just click a button and use ours! You can literally set this all up in 60 seconds. They find you. They want the freebie. They enter their name and email address. And now you can not only find out what those people want, but give them exactly what they want, and make money doing it. Even if you're only a "recommender." You'll discover how to build your list -- PLUS -- how to get your subscribers trained to: open, read, click, and buy. Your courses keep getting better and better. I questioned whether I should take a "newbie" course as I technically know how to do much of what was taught this weekend. The course taught me *why* certain approaches were better from a business standpoint. And of course, I was really a newbie as I knew how to do a lot, but I had nothing to show for it. I spent the entire weekend learning... and doing. Looking back it, the number of decisions made alone is amazing: 8 challenges, each with 4-5 decisions/actions each. Not all the actions are completed, but all the decisions have been made and all the actions have been scheduled. And I have done a lot this weekend, more than I've ever done before: I selected a niche (this was a real sticking point for me in the past), set up a list, created a product for a free download, set up a squeeze page, started a sales page, created a blog, wrote my first blog post for it, and received my first comment. Also, towards the end of the course Robert and Lance got carried away, went overtime, and touched on some advanced topics (insider secrets, really), yet still kept is simple, uncomplicated, and actionable for a newbie level. At this point in "Income Machine 2.0" you will have a niche, domain name, website, and lead capture system... and that's JUST the first day! Whether you like it or not, you train your subscribers (buyers AND prospects) to react a certain way to you. Do you ever wonder why some marketers seem to make money easily, while others struggle to make a single sale? Why some marketers seem to work very few hours in the day, but they make way more money than "permanent newbies" who spend 12 to 16 hour days just struggling to earn a "minimum wage" salary? It's because the money is in the list. And the most successful marketers who make the most money have the best trained list. Hint: the "value" of your list has nothing to do with the number of free gifts you send per month, or even the number of offers you present each month. You'd be surprised how many "mildly" successful businesses are missing these simple components. It's your choice: do you want to be MILDLY successful (no), or WILDLY successful (yes)? That's the critical piece you're missing between you are and where you want to be! On My Business All Year"
Income Machine smoothed out a lot of the points in my sales process where I always got bogged down and lost momentum. For example, setting up an autoresponder for products was something I always skipped because it seemed so time-consuming. After Module 4, I got an autoresponder set up within an hour - including the free report for download and the first 3 messages loaded - so I'm not intimidated by autoresponders anymore! I feel like I finally have a system in place to market my products instead of being stuck in an endless 'product set-up' rut. You guys have done a fantastic job in covering all of the bases - including filling in the while chalk lines between them. Income Machine was the best money and time I've spent on my business all year - thank you! "How to Setup Your Authority Blog in Minutes, and Schedule a Year of Instant Expert Content in the First Few Minutes"
You've been told you need a blog, but do you have one? Do you spend too much time on it? Does it have enough content? Are you happy with the email subscribers that are coming in? Is it HELPING your social proof or hurting it? 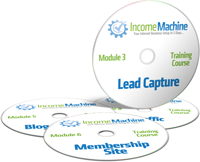 If you answered "I don't know" to any of those questions, then you need to take our blog training inside Income Machine 2.0. Having the blog setup isn't enough. Creating content and getting readers isn't enough. WARNING: Most People Setup Their Blog To Work Against Them! If you're doing something on the internet that's not making you money or building your business, don't do it. It's that simple. But blogging can be one of your BEST and FASTEST business builders -- if you do it right! This is awesome... you have a web site, you're building a list, and when someone finds you, they can see you are in expert in your field. I'm proud of your results so far. It's very important that you stay on the right track and continue to get the results you want, and deserve. That's why the next procedure I'm going to show you could mean the difference between a $1000 per month business, and a $5000 per month (or better) business. "The '4 Things' Really Works!" Not sure if this is the right place to post this or whether it should be in the traffic module. and we've still got a bit further to go with this one yet as we've only revealed 2 out of the 4 items. One of my favorite (and most profitable) things to do online is create the exact web page you see here... follow a simple easy rules, and boom... you have a web page that's optimized to get people watering at the mouth to buy. The choice is yours: you can find 4 times as many offers to promote. Slave over 4 times as many products. Build a list 4 times as big. Spend 4 times as many hours per day at the computer. Or... follow a couple of easy rules and STILL make 4 times the money from your web site. Pretty easy decision. This module comes with not just our WordPress sales letter plugin, we also have a 1-click CLONE you can install right away to have it all setup. Look at what's in place now. You're bringing in new visitors with your blog. New subscribers from your opt-in page. They become prospects when they look at your offer. But now that you're an expert and you're recommending other peoples' products, it's time to take the next step and... setup an offer of your very own! "Accomplished More Toward Setting Up A New Online Business In Those 2 Days (Between The Sessions!) Than I Had Over A Significantly Longer Period Of Time"
I can echo many of the comments left by others about the quality of the content, the insider tips, the magnitude of what was covered in a relatively short period of time. For me, the single most powerful component of the Income Machine weekend course was the sheer energy of being "live" with the two of you. The energy level was intense and motivational. I felt a vital part of the training and that kind of experience leaves all excuses in the dust. I had no choice but to act; to take action; to accomplish what I needed to do. I accomplished more toward setting up a new online business in those 2 days (between the sessions!) than I had over a significantly longer period of time. In the days following the Income Machine weekend, I have referred back to the replays of the trainings to finesse the technical parts and I just keep accomplishing more and more. Not only that, but for the first time I am beginning to see the bigger picture of marketing and creating online streams of income. Thank you, Robert and Lance. You guys are gems! "How to Setup Your Automatic Membership Site Without Wasting Time On Your Own Product"
There are two types of internet marketers: ones that love creating products, and the ones that love promoting them. I can't blame the "make a product" haters... you have to write a lot, or figure out how to record videos, and there's a short delay between thinking of an idea and making money. But what if you love making that product... it's your passion, it's the best of its kind, and no one can compete with it. Guess what, now you have to promote it... you have competitors... it's scary to put something out there. Here's your solution: create a "basic" version 1.0 product, so the framework is in place. Something simple enough that you can start promoting it today (we'll share our top 3 methods of "instant product" creation) -- with zero excuses. You may have thought about creating a membership site or even set one up in the past and here's the problem! It integrates with what's already been built. 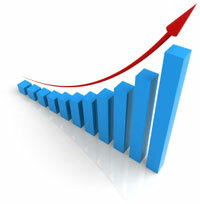 Collect new email subscribers every day. Make new sales every day. 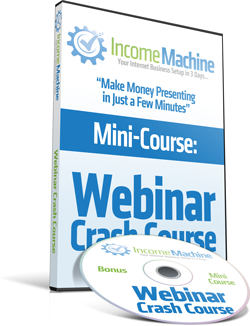 The "Income Machine" delivers the product, sends out the emails, serves up web pages. You just put the pieces in place and walk away. Robert & Lance, as a newbie who has several of your products, this course is the best one yet!!! It was OVER THE TOP! It puts it all together. The fact that you covered it all on the weekend from sun rise to moon rise was not lost on me. As someone who has a day job, going to a webinar on a week day at 11:00 AM ain't going to happen. Thank you for putting this on over the weekend so I and others could attend. I have done more this weekend and I am off to a good start. The course was EXCELLENT!!! "Set It and Forget It! Build a Consistent Traffic Fountain to Give You a Steady Stream of Customers So People Find You Whether You Spend 20, 10, or Even Zero Hours on Your Business This Week!" Here's something that shocks and surprises many of my students and customers: I only spend a couple of hours per day on the computer, building my business. My email autoresponder obediently broadcasts emails to my subscribers. My blog posts go live on their own. I dictate articles, reports and products... send them off to freelancers, and check back later for the results. Worth 10x The Cost of This Course"
Words can't even begin to express my gratitude for the increadible amount of time and effort the two of you put into the Income Machine this weekend. Your insight, help, guidance and wisdom has been a tremendous help in building my business from the ground up. Your expert advice and timely insights will save me hours of time wasted on running in circles. I have never had any internet marketet spend this kind of time on the basics. Your lesson on Traffic is worth at least ten times the cost of this course. I am forever indebted to you both. Even though a different internet marketing guru seems to release a new product about this traffic loophole or this marketing strategy that will only remain viable for the next 7 days, very few methods actually bring "good" buyers to your web site over and over. But the good news is, I know what brings people to your website and what doesn't, and it's easy for you to duplicate these methods. If you've ever wondered how the big marketers can hundreds of people commenting on a blog, hundreds of webinar signups, or thousands of people looking at a web page... then you need to let yourself get access to these time-tested and proven traffic strategies. Whew... What a course! I will admit that it was one of the most intensive 2 day courses that I have ever had. A lot of information and HUGE ROI. Yes, this course definitely filled in the blanks that are left by a lot of the other things that I have tried. This class alone will have me past months of delays in just getting it done and out there. I look forward to letting you see the final results. Everyone (including you) wants a sales letter template that looks great and is optimized for maximum conversions. The higher your web page converts, the more people will sign up for your email subscribers list... and the more people will buy! Many website developers worry far too long, and far too often, about what design, template, or theme they're going to use for their web pages. But here's a shocking fact: did you know that out of all the hundreds of thousands of designs available to you on the Internet, ONE has been time-tested to get more sales, compared to all the others? You need a proven template and we are going to give you the exact template we use on our sites. This template is easier, more futureproof and gets HIGHER search engine rankings than 99% of all WordPress sales letter designs. Soon this exact template will be yours, just as soon as you join "Income Machine" and get not only this template, but all the exact strategies and techniques we use to customize the headlines, content, and even the order process and email subscription design to get the most signups. "Blown Away and I'm NOT a Newbie"
get off their asses and GET TO WORK. 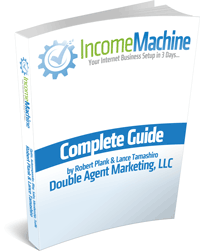 Income Machine is the best value anywhere on the web. You know how to setup an optin page, sales letter, autoresponder sequence, but what about the part that matters the most -- taking those payments? Unless you have a take to take online payments AND deliver automatic downloads (meaning you don't even have to see the sale come in) then you might as well not be in business. You simply CAN'T scale unless you have a membership site! This course really helped me learn how easy it is to start a business online! Before this course, I was always making things so much more complicated then they needed to be. Lance and Robert showed us how easy and pain free it is to set up our business online. If you take this course, you are guaranteed to see results because it covers everything. I plan on completing all the challenges here and going back to Lance and Robert's other membership sites and complete all the challenges. I was trying to make everything to perfect and sometimes avoided taking the challenges because I was scared. I am not anymore! Starting Thursday I have 3 weeks off from school and I plan on getting my online business off to a good start thanks to Lance and Robert. This means once you have a site looking and tweaked exactly the way you want, back it up, restore it on a brand new site and edit the new site to get it the way you want it. 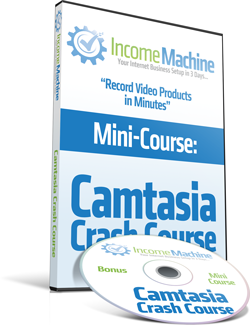 Never start from scratch again with our Backup Creator, included in your Income Machine package. "All The Things You Taught Us Save Time!" Learned so much on the weekend! Still have a ways to go but excited because all the things you taught us save time. Up til now I have been so tired of hearing people say I had to write 100 articles, put up a blog post every day, write in forums every day... who has time for all that? Let's face it - no one does! With your recommendations, I can see that they will work! "It Is The Missing Link!" Lance and Robert . . .about the only thing I can say is, "WOW!!" Many folks have promised the step by step to their system, but you delivered . . no, you over delivered. With a little practice, I'm going to be pumping out sites and products over and over with great success . . and most importantly in so much less time. Having attended a weekend training weekend out of town a few weeks ago, I can honestly say this was a much superior training AND I didn't have to leave the comfort of my own home (and didn't have to spend money to be staying somewhere else). Personally , I can't believe you are charging so little. I thought it was because you and Lance were being nice to newbies. The content and how-to are worth thousands. Your program is the only one I found that teaches step by step of how to setup an online product. You even share some great ideas for generating a product. It is the missing link! And as a technical oriented person, it was still a huge help to have a system to follow! I can't imagine how much MORE of a value it would be to a non-technical person struggling to figure out how to do a simple webpage. "For the First Time I'm Now Confident"
It's now an open door. For the first time I'm now confident to continue creating instead of stopping. My ideas and thoughts can now move from the drawing board and onto the internet. Best money I've ever invested. Heartfelt thanks to Robert & Lance. PS - Great rapport with your students - I like your style! There is no other way to describe Income Machine except by saying a big THANK YOU. What I enjoyed the most about the course was the simple yet powerful step by step progression in your training. One step built upon another. I went from nothing to, knowing my niche, planning out my products, setting up a squeeze page, sales page and even a membership site! I am really having FUN with business ventures this like never before. You guys gave me a simple yet powerful plan to set up online businesses over and over again! Even my kids are amazed at how REAL my squeeze pages, sales pages, etc look...my husband got involved by asking me to make him a squeeze page for our Bible study ministry. The biggest difference I see in Income Machine unlike any others kind of training I have had is that you guys REALLY expect us to apply what you teach. Each challenge I completed made me smile thinking...this is all well worth my investment! When you join Income Machine, you'll say goodbye forever to the days of taking more than a couple of minutes to setup your own membership site. You'll be able to click a button, and it's done! Not only do I want to give you all the tools and training to get a website online -- plus bringing in consistent traffic forever -- I want to make sure you have room to grow. That means if you want to (now or at some point) create your own screen capture videos -- for free or use in paid products -- you can! If you've ever tried to create a video in the past before, because you heard that it was easier and faster than writing, then maybe you tried it and got discouraged. I know that I did. I didn't like to have to sit down and write 20, 50, 100 pages. I wanted to just be able to speak out or do those things that I wanted to show people. I heard about live action video and I tried a bunch of different cameras and I never got the sound quite right. You can show anything – PowerPoint, browser, piece of software, anything like that. And because there is your voice, you can go off on a tangent for a couple of minutes and remember to put in those things that you might have forgotten. This is all compressed down into an action-packed, nothingleft out 1 hour mini-course and is available to you right now inside the member's area. Just join within the next few minutes and it's yours as our digital gift to you! Using PowerPoint along with screen capture software has been the easiest and best way for me to create information products. Many times I want to get a point across, I want to show something, I want to flip through some images, slides, diagrams and text, and I needed a guide. I needed a reason why I wouldn't ramble or go off-topic, or go on for hours and hours, and keep a tight, structured presentation. Now you'll have the same knowledge and skill I have when it comes to presenting PowerPoint slides in person, on a webinar, or in a video recording for your sales letter or paid product. This is yet another 1 hour mini-course that you'll get instantly as soon as you join that member's area. There is no theory here! I literally show you the in's and out's of how I create, structure, and present all my presentations -- it's all done right in front of you! Ever heard of these things called live webinars? Always wondered how to present on them, which platform to use, what to talk about, and how to use it to make money? We're going to be figuring out how you can make money presenting your course, your pitch, your presentation, in just a few minutes by using this thing called a webinar which is a live screencast. You can get hundreds or thousands of people to come to your online event, they can see your screen on their screen and hear your voice live. We're not talking about a live action stream (UStream or Google+ Hangouts), nothing that fancy. I'm showing you how to start a a GoToWebinar screencast, share a screen and speak to a live audience. How to get recurring monthly income from personal and group coaching -- AND GET PAID WHAT YOU'RE WORTH! Once again, everything you know is compressed into a 1 hour mini-course where I literally start a webinar on my screen (using the exact steps I take when I'm running a real one), present, record, and walk you through all the steps. Whether you're ready to jump into webinars right away or you need to work your way up to this level, you have LIFETIME DIGITAL ACCESS to this bonus session so you can come back to it anytime you want. What if you could increase your business even while you relaxed on the couch with a bowl of popcorn or your favorite snack? For a limited time, you can! That's because we are going to RUSH deliver an 8-disc DVD set of the Income Machine training directly to your door. They're yours... absolutely free (you don't even pay shipping) as your BONUS for joining Income Machine today. Wouldn't it be great to just "flip" to that page of the book and run through the list? By ordering today you're also guaranteed to receive this softcover manual containing everything that's taught in Income Machine -- including screenshots! This truly is the "missing manual" that every internet marketer should have on their office desk at all times, and now it's yours, as a free bonus for registering right now. Once again, this is literally a printed manual that you can hold in your hands or have on your desk at any time, which we'll rush you free of charge (you don't even pay shipping) after we have presented the course. If for any reason you don't think this training will allow you to setup your web business in under 3 days from start to finish... then within the next 30 days, I demand you fire me from your business and you get your refund. Just contact us and send the DVD and manual back to us. YES! I want the exact content generation strategies to build my online business. P.S. Income Machine is a single payment membership site. You will need a web browser capable of playing videos. P.P.P.S. If you choose to get your money back for this course, just send the DVDs and manual back to us by contacting us at the help desk within 30 days of your purchase.